Michalle Gould has been working on the poems that constitute Resurrection Party for almost 15 years. In that time, her poems and short stories have appeared in Slate, New England Review, Poetry, American Literary Review, The Texas Observer, and other journals. She currently lives in Los Angeles, where she works as a librarian, and is in the process of researching and writing a novel set in the North of England during the 1930s. TCJWW: Resurrection Party seems to grapple largely with metamorphoses; indeed, in these poems death itself becomes a merely temporary state to be succeeded by resurrection and new life. How have the themes of transience and mutability shaped this poetry collection? Gould: One of the things that I talk about a lot with this book is how great a span of time was involved in the composition of the different poems. I once read an article that really stuck with me about how the difficulty of getting a first book of poetry published now means that often a poet’s “first” book of poetry is really more like their “second” or even “third” book of poetry. The author viewed this as regrettable in that it distorted readers’ ability to see the evolution of a poet’s style and themes through time. I don’t know whether it is the case that it is truly more difficult to get a first book published now than it ever was – that seems to vary widely depending on the individual poet, as it probably always did; however, I do think that one reason metamorphosis and even resurrection is such a huge theme of this collection though is that it was written over such a length of time in which I was often re-formulating my own identity both just as a person and as a poet. There is an idea that every seven years, you become a new person, so I had time to become two new people, and it often felt like I did! When I look at the book, I can identify several sets of poems, poems that go together and were written during a particular phase in my life. I think having those different sets together in one book is actually (I hope) a strength and lends a depth and breadth to the collection that will help the reader feel that they have gone on a journey, even if they can’t trace every single step from beginning to end on a map. In that way, I am almost hesitant to talk too much about the more specific types of changes that I went through while I wrote this book because I feel that it could render the more universal themes of Resurrection Party needlessly and even unhelpfully particular. But I do think we all go through a variety of metaphorical deaths and resurrections throughout our lives, whether it is a divorce or a great loss like the death of someone close to us, or a huge shift in our identity, and I think resurrection as an analogy for those personal forms of metamorphosis was something I played with a lot in these poems, all the different kinds of re-births that are available to or sometimes even forced upon us. TCJWW: Resurrection Party artfully unites the themes of death, sensuality, and resurrection. What drew you to these themes in particular? What do they have in common in your view? Gould: I’ve always been really frightened of death and of aging as well for some reason; I’m not completely sure why. I suppose in part, the sort of popular images of the afterlife always seemed really silly to me as a child and so that left a void in terms of comforting imagery to drawn on when thinking about death. I come from a Jewish family and the focus of my own religious background was more on ritual and community than concerns about death or the afterlife and so I think imagery relating to resurrection has always been very exotic to me and therefore interesting in the way that anything unfamiliar and exotic generally is. I am not, to be honest, at all sure how sensuality got tied in there quite so deeply, other than that perhaps as it is a marker of adulthood, a sort of boundary line that has traditionally in art and literature marked a transition from youth and innocence to maturity and therefore eventually death! These associations are obviously not as strictly dichotomous in our own time as they would have been once, but I think they still lie at the back of our brains a bit, or at least my brain anyway. Anyway, because I think death and maybe sexuality too, at times, can be frightening concepts, because they both involve a certain loss of control, I like to play around with imagery of surrender as connected to them, as if I can talk myself into being less worried or anxious about them in real life by role-playing in relation to them in my writing. 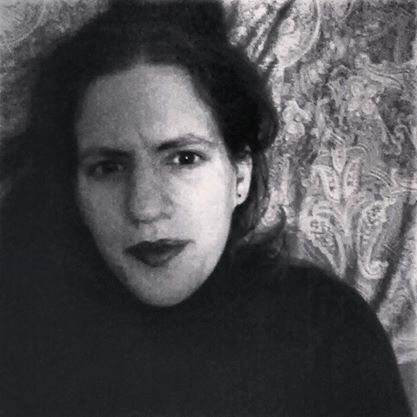 TCJWW: The poems in Resurrection Party were crafted carefully over the course of 15 years and it shows in what Louise Mathias (author of Lark Apprentice) aptly describes as “meticulously crafted structures [that] serve as containers for the wilderness that resides within.” Can you describe your process to us? Gould: I wish I had a process; I feel that in a lot of ways I am a very instinctive and also a sort of stubborn writer and at times I think I would be better off if I had more of a “procedure” for writing a poem. In most cases, a poem for me seems to either work or it doesn’t. My most “successful” poem, “How Not to Need Resurrection,” which opens the book and is currently being adapted into a short film, was written in probably no more than 5-10 minutes and not really edited much afterward, other than some very minor fiddling with the wording of the title and the last line. By contrast, there are poems that I have revised for years and years, without ever quite feeling that I got them right. Mostly, poems work best for me if I start with a seed/kernel – a title, or an image that I find interesting, or a phrase, then think of 2-3 things to connect it to, then work from there. I might think about it for a long time before I sit down to write, but once I do sit down to write, I like to get most of the poem out then and there. It could come out fast, like the poem mentioned above, or I could work on it for hours, staying up all night, but in general, if I’m not largely happy with the first draft resulting from that single session, I often won’t ever be able to get it to something I’m satisfied with. TCJWW: Resurrection Party includes a variety of evocative “self-portraits” as various objects and concepts. What are your thoughts on self and identity and how did that shape your self-portraits? Gould: I consider myself a fairly private person so I suppose writing about the self as object or concept or adjective is my way of dealing with that, of externalizing and crystallizing whatever issues I might have relating to self and identity and giving them a physical form, which might be helpful in two ways – first, as a form of exorcism, to get them outside myself, but then also to make them visible to people who might need to be aware of them. I think to come back one last time to the lengthy gestation period of this book, one huge struggle that we all face as we age is how to grow and evolve without losing the core of what makes us who we are. I remember a fellow fiction writer in my MFA program talking about how sometimes she felt like when she revised her stories, even though they were better technically, they had lost what made them interesting. I think that phenomenon can be a problem for us as human beings as well – we might want to improve the conditions of our lives and make good decisions, but we still want to stay ourselves! This can especially be a concern with regard to our relationships with other people. The people in our lives influence us, even change us, and I think the self-portrait poems are particularly concerned with that theme, of how much or how little to yield to another person. The self-portrait poems were also the last set of poems completed for this book, while in Resurrection Party’s earliest forms, there was a set of “When I Was…” poems, of which When I Was Naked and Postlude (when I was invisible) are the main remaining examples, so this has been a real constant throughout Resurrection Party’s evolution, the use of imagery of metamorphosis and resurrection as a way of exploring questions about identity and the idea of change in identity as almost a form of death. Reblogged this on Michalle Gould.